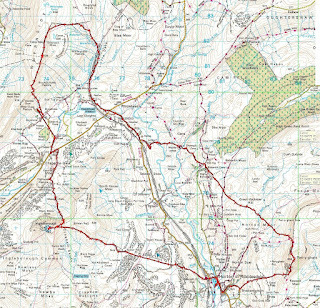 Update - the results for the 2012 Three Peaks Race are here. The Three Musketeers, Three Coins in a Fountain, Three Steps to Heaven, what is it with all these threesomes? We even have them in fell running, embodied in what many like to think of the fellrunner's response to the London Marathon; The Three Peaks. The calender tells us the race is 23miles and 5300ft. Andy Peace has the current course record 2:46:03 from 1996. Anna Pichtrova from the Czech Republic has the ladies best time of 3:14:43 from 2008 (when it was a World Mountain Running Championship). 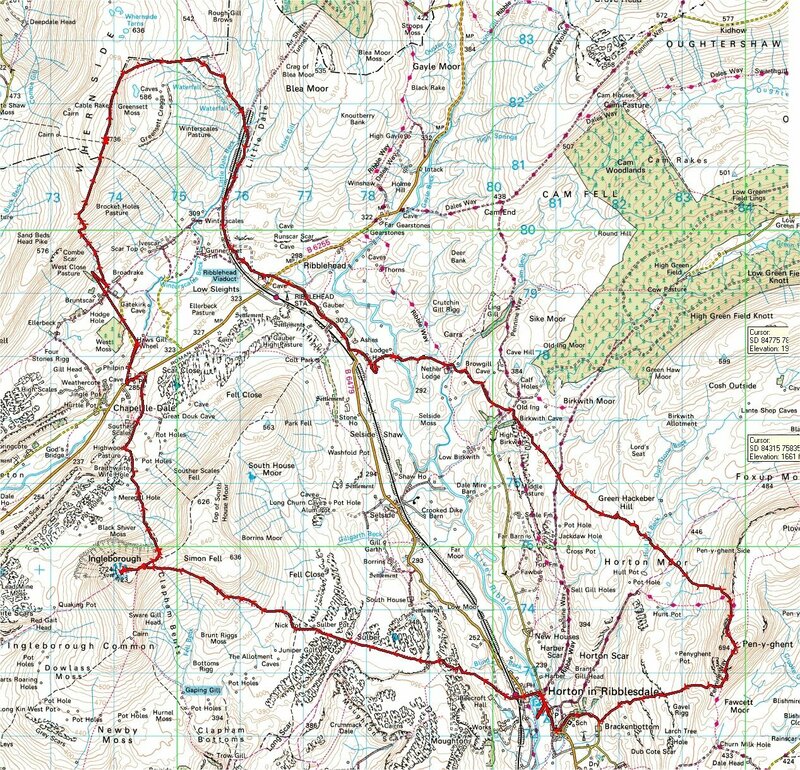 The race is tough not because the route is rough or the navigation is difficult, this route is tramped every day of the year by charity eventers and other walkers who complete it in a day. No, this race is tough as it's so very runnable and fast, leaving the competitors no place to hide. "The fields for the mens and womens races are absolutely stacked with fell and mountain running talent from the UK, with the likes of Rickey Gates making the long trip to Yorkshire from California to have a crack at adding this monument of a race to his list of career wins. The men’s race is headed by 2011 winner Tom Owens, recent British Champs round one winner Joe Symonds, multiple winner of the 3 Peaks Rob Jebb and 2008 winner and Jethro Lennox. The 2009 winner Jebb will be aiming to put himself even further up the Three Peaks hall-of-fame rankings as he goes for his fifth win. One other contender is 2009 runner-up Ricky Lighfoot. The Ellenborough athlete has had a good start to 2012 and is proven over the longer distance races. Others to look out for are Dark Peak’s Oli Johnson and Robert Little, Carl Bell, Graham Pearce, Eryri’s Richard Roberts, Andy Davies, Martin Cox....." here's the rest of Matt's preview. And you can find out more in an article on the FRA website here. Matt has also reproduced some quotes from those that have won over the years in an article on his magazine website. The race starts at 10am on Saturday 28 April. Why not follow the race from the comfort of your armchair or your Local (or even an armchair in your Local!) on the sport ident live event monitor linked here. And, if you are going to compete, don't forget it's as easy as One, Two, Three!